This year, Shoptalk generated tons of buzz and excitement among retailers, brands, and technology vendors coming together to network, collaborate, and learn more about the emerging trends that are shaping retail’s future. 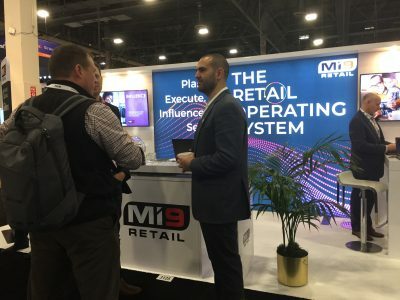 At the conference, the Mi9 Retail product experts demonstrated our Retail Operating System, received with enthusiasm by attendees who discovered our integrated suite of solutions that facilitate closed-loop analysis, automation, and optimization. Here are our key takeaways from the conference, based on what we saw and heard as we walked through the show floor and attended the sessions. Many retailers first embarked on their omni-channel journeys many years ago, yet few companies have truly nailed what it means to seamlessly blend physical and digital channels. Most traditional retailers have embraced digital transformation initiatives, ranging from adding e-commerce capabilities to digitizing supply chains and physical retail locations. This, however, is a slow and complex process that can take several years to achieve, especially when the desired outcome is to have a fully-integrated business system and organizational structure. Artificial Intelligence (AI) continues to enhance retail and e-commerce for both customers and businesses. AI has the ability to help retailers take their business to a whole new level with predictive forecasting, capacity planning, and merchandising. This means that consumers can enjoy the benefits of better product availability and faster, more accurate deliveries. In addition to supply chain benefits, AI can also help create a smoother browsing experience and improve customer retention through personalization.